Happy New Year! As we take down the tinsel, put away the tree and wait for spring to roll around, can you think of any loose ends that you’ve been meaning to wrap up? New Year’s resolutions to take care of legal matters are a common request this time of year. Together, we can resolve to make 2016 the year that you get all your ducks in a row– and whether that means finally making the call to create a will or trust, forming an LLC, putting in the paperwork for your divorce, or a host of other legalities you may have been putting off over the holiday season, your friends at the Piatchek Law Firm are here to help. Wills aren’t just for the wealthy. It’s important to plan ahead, and to plan intelligently. Everyone can benefit from having a basic estate planning conversation with their attorney. How long have you been thinking about creating your Will or Trust, and simply have not gotten around to it? Please keep in mind, you don’t have to all of the answers right now, nor do you even need to know all the questions. That is what our estate planning attorneys are here for. The only thing you really need to do right now is to contact us by phone or email to get the ball rolling. Thinking of Forming an LLC? Structuring new enterprises or reorganizing existing ones as limited liability companies is nothing new to us – LLC setup and business formation is something we do very often. Clients choose us because of our familiarity with LLCs, and because we can offer them a high degree of personal attention at an affordable rate. Our lawyers and staff will work closely with you during the formation stage of your business, as we guide you through the process, and prepare and file all the necessary documents to set up your LLC in compliance with Missouri law. Although he is the newest member of the Piatchek Law Firm, Doug has been practicing law in Missouri for almost 20 years. This Mizzou graduate specializes in contested family law and business law. 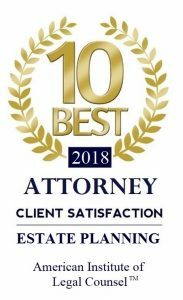 In addition, Doug also boasts ample experience representing clients in a range of areas including real estate transactions and litigation, creditors’ rights (collections, foreclosures, repossessions, replevin, etc.) contract litigation, as well as many other areas of business and commercial law. In his spare time, Doug can be found spending time at the lake with his family, or practicing his swing at the driving range. You can reach Doug Parker by calling our office at 417-720-8104, or by following the link below. The man spent the night in jail, but is expected to be released on a $1,000 bail.